On the bright side, I have found the most addicting healthy snack. 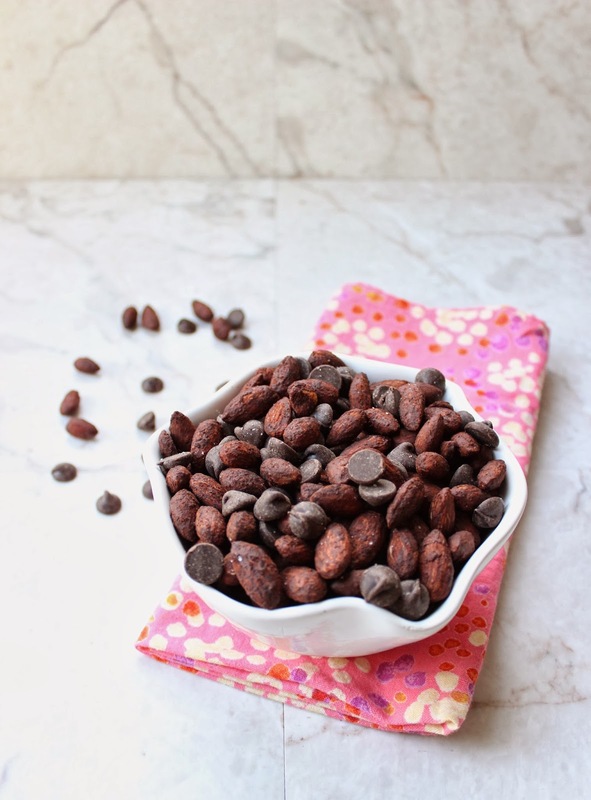 Sweet spicy crunchy cinnamon cocoa roasted almonds. The almonds involve a simple combination of cocoa power, vanilla extract, maple syrup, and spices. They're slow roasted and stirred every few minutes to accomplish the satisfying crunchy texture. 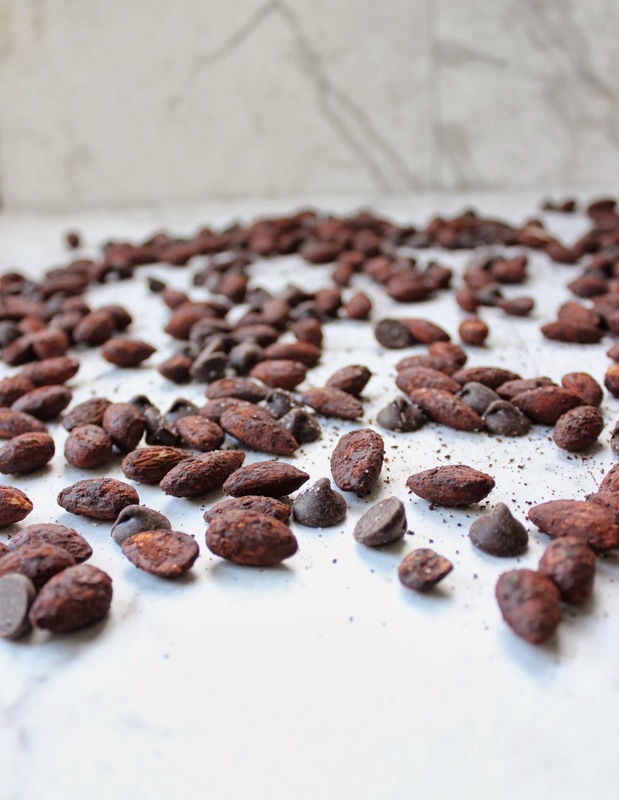 The almonds are delicious on their own, but when they're combined with chocolate chips and dried cherries? I'm one of those weird people who likes an even ratio of flavors/textures when snacking. My favorite bite has two almonds, one dark chocolate chip, and one dried cherry. Repeated as often as necessary. I dare you to try these. In a medium bowl, combine almonds, cocoa powder, cinnamon, cayenne, sea salt, vanilla extract and maple syrup. Stir well to evenly coat almonds in mixture. Spread onto cookie sheet. Mixture will be sticky, so you may need to use your hands to ensure almonds are evenly spread out. Sprinkle with additional sea salt, and toss together with semi-sweet chocolate chips and dried cherries, if desired. Yay, I'm glad to know you had such a fantastic weekend in the end. Congrats to your friend! These almonds look delicious -- I love all flavored/roasted nuts! I like the the cocoa and then the additional of chocolate chips! Glad you had a good trip (after you got there!). I'm SO glad you got there in time! I would have been FREAKING OUT. So much stress eating of these fabulous almonds would have occurred.